I am all about feeding my family for cheap. I typically spend right around $100 a week on groceries to feed my family of six. I accomplish this by meal planning, buying things when they are on super sale (like, I am the crazy lady buying 30 jars of spaghetti sauce at a time), and by trying to have inexpensive meals every so often. My trouble with this goal is that I like variety in my diet. I seriously have a hard time eating the same food for dinner within 30 days. If I made spaghetti for dinner last week, I can’t do it next week. It needs to a be a month or more after last week. During the winter, however, I make baked potatoes twice a month. We live very close to the southern border of Idaho, and we get a 50 pound bag of potatoes for $10. Pretty awesome! And pretty cheap. I have to swallow my issues with the 30 day rule and embrace the baked potato. 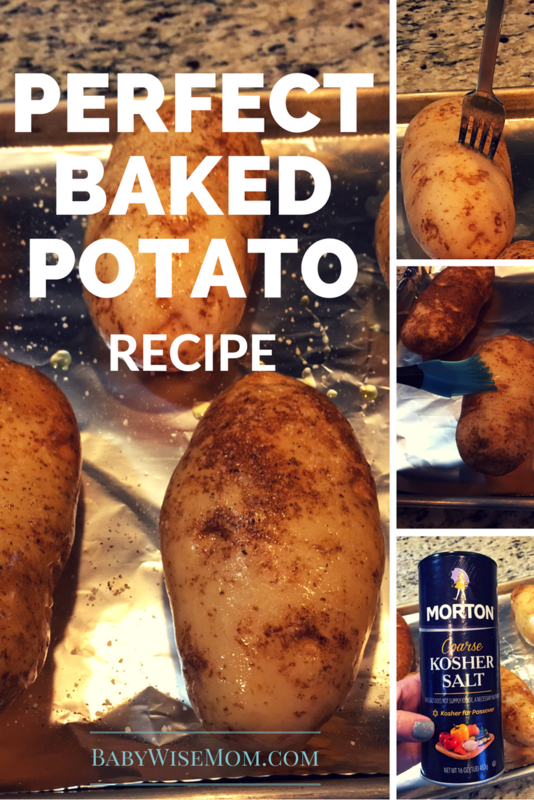 A few months ago, I came across a life-changing way to bake a potato. 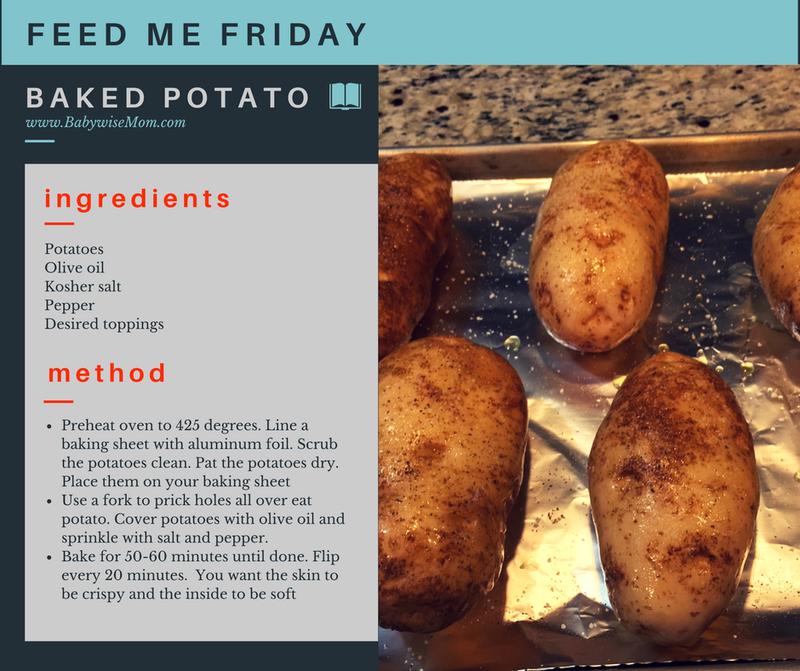 I have always really liked baked potatoes. It isn’t uncommon to see me ordering that as my potato choice in a restaurant. But if I am going to eat it twice in one month, it needs to be fantastic. Amazing. Sprinkle the potatoes with salt and pepper. I sprinkle one side then flip and sprinkle the other. I think this is the key step to getting delicious potatoes. To make getting the inside out easier, squeeze the potato all over before you cut it open. If it is super hot and you can’t wait for it to cool down some, you can press it with a fork. Cut the potato in half. Scoop out the inside. I also load some toppings into my potato skins. That is my favorite part of any baked potato! My favorite is just butter and sour cream. Very impressive! I'd love for you to share your strategies around meal planning and shopping with us. Would love to be able to spend only $100/week too! I absolutely will share! Thanks for asking. Me too! That hundred bucks is amazing. I can hardly keep us at 200$ week and we're barely a family of three. Two adults, one almost two year old. But we all eat pretty big quantities and lots of meat. I've experimented with less to save money, but I feel I really need more meat. (none of us are overweight at all). Please share more money saving strategies!